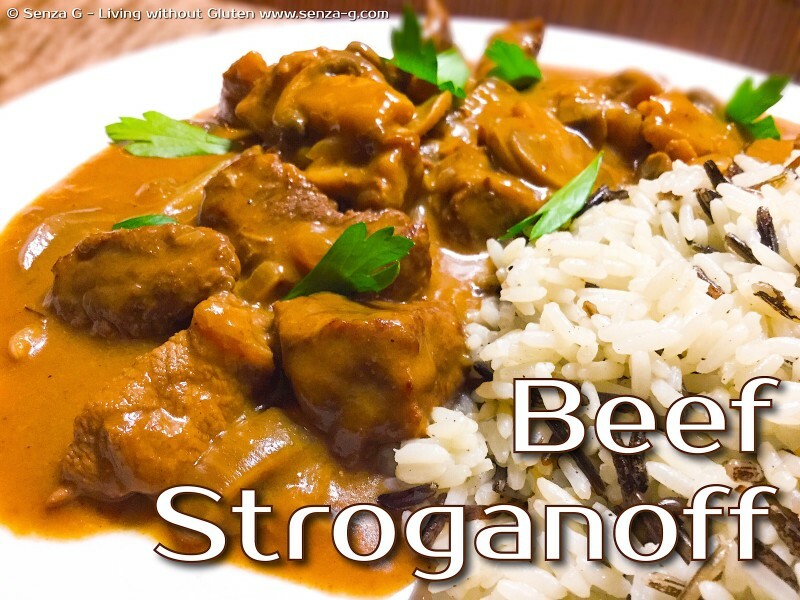 Creamy and rich, Beef & Mushroom Stroganoff would be so welcoming on a cold winter’s day! You can serve this with pasta, rice or garlicky mashed potatoes. Works beautifully with all three! Heat oil in a large pan and saute the onions and garlic over medium-low heat for 7-10 minutes until translucent. Remove and set aside. Add the beef to the pan, and quickly fry over high heat for 3-5 minutes. Add the mushrooms and saute until tender. Lower the heat to medium and put back the onions and garlic into the pan. Pour in the brandy and the stock, stirring them in. Add the herbs/spices, the Worcestershire sauce, tomato paste and Dijon Mustard. Season with salt & pepper. Bring to a boil and then lower the heat to a simmer and leave to cook uncovered for about 10 to 15 minutes or until the beef is tender. When ready to serve, stir in sour cream and parsley.